For Your Next Coffee Table, How About a Smart Table? Coffee tables are usually boring, but one company has developed a prototype that is far from it. 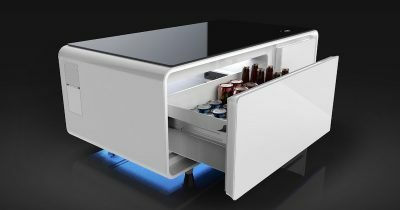 Jeff Butts has discovered a “smart coffee table” that merges aesthetics with modern conveniences, including USB ports, electrical outlets, and more.